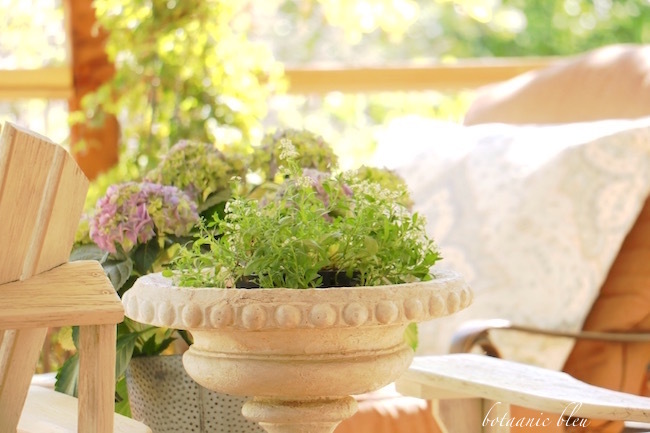 Reading a new issue of Country French is pure inspiration for styling a porch with a fleur de lis topped topiary or a fleur de lis iron stake in a planter. Re-reading old issues of British Country Living magazines also provides inspiration for a country living lifestyle, for country garden designs, and for following your dreams to create a cottage industry. Whatever your favorite warm weather drink is, drinking it on a porch in the Spring doubles the enjoyment. Even water with ice cubes becomes a special drink on a porch. Make that refreshing drink a glass of homemade lemonade shared with F R I E N D S, and the joys of Spring porch living quadruple. Sipping and chatting the afternoon away is a quiet joy, reminiscent of taking tea in bygone days when life moved at a slower pace. 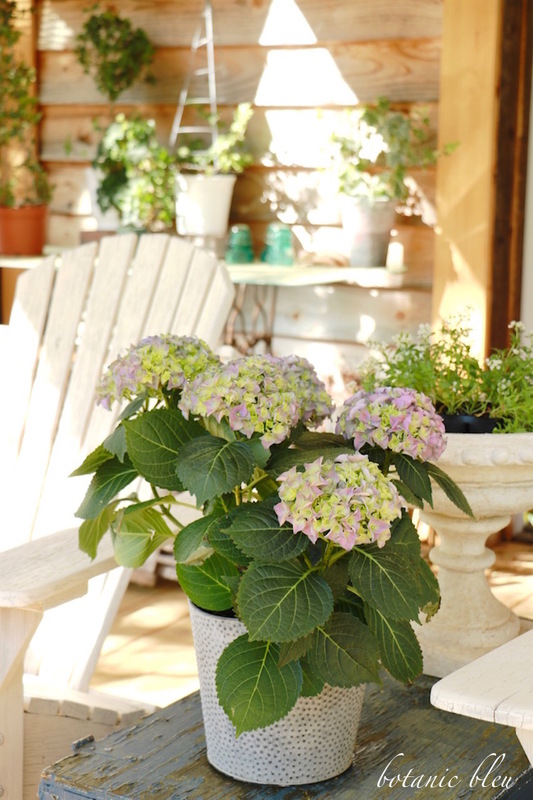 Spring is the natural time to plant, and planting blooming flowers in pots on a porch gives double joy. The first joy comes from planting the flowers, beginning with visiting a gardening center, walking among the hundreds of blooming flowers, and then, back home on the porch, digging in the dirt to plant the flowers that make your heart happy. The second joy comes from reaping the rewards of flowers on the porch. Not only is there joy in seeing, smelling, and touching the flowers on the porch, there are also the rewards of seeing bees, dragonflies, butterflies, and birds hovering over the blooms. 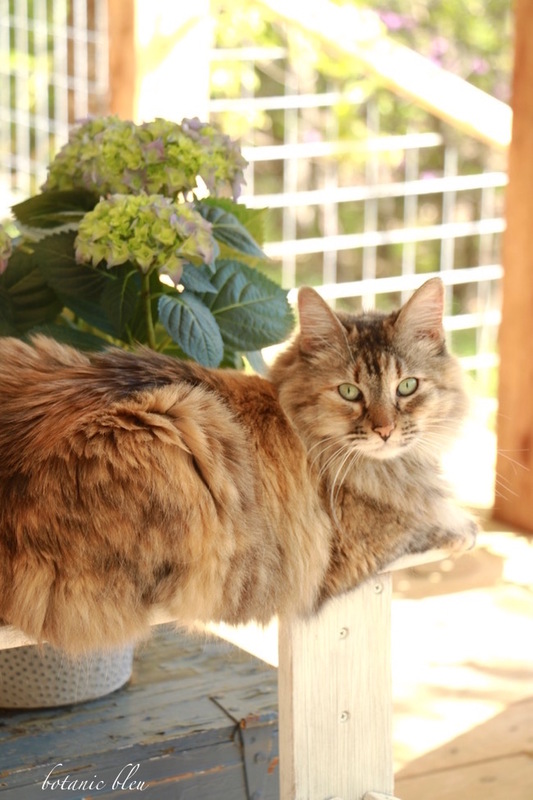 Callie loves hanging out on the porch with us. She is the most social of all our cats, and sometimes just sits close by. If we move to another part of the porch, she follows. Often she snuggles in our laps, or at the foot of the chaise lounge, to nap. Other times, her ears perk up, she stares intently into the yard, and in a flash, dashes off to stalk an unsuspecting lizard. 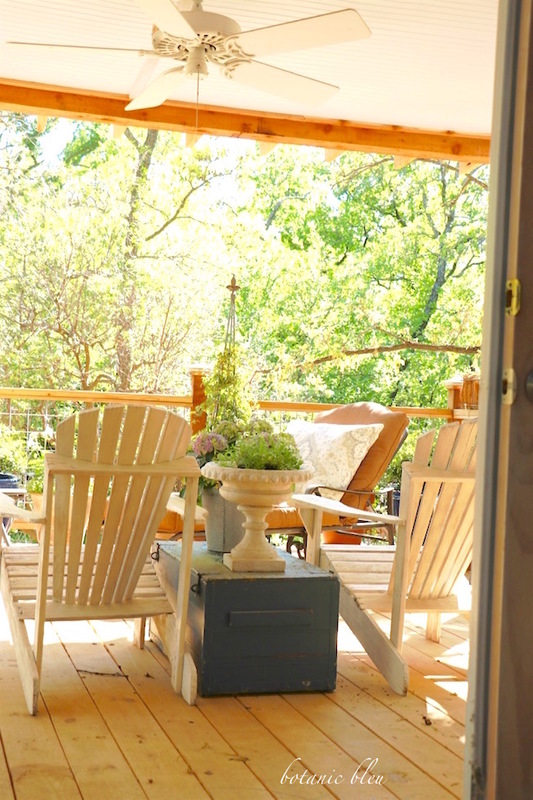 The days are numbered for Spring porch living. Temperatures will rise to the 90s and 100s causing us to remain inside in the cool air-conditioned house. We will look longingly out the doors and windows to the porch, but not be fooled into leaving the cool house... until Fall comes. 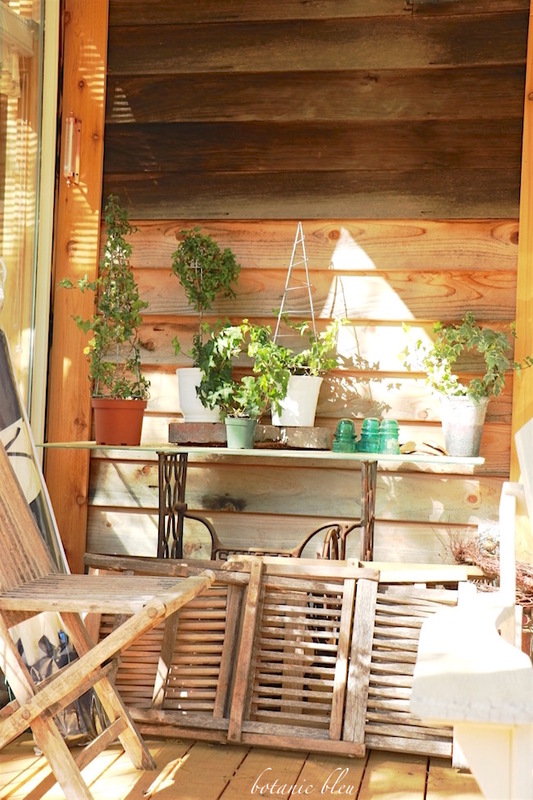 Your back porch looks so relaxing and inviting. 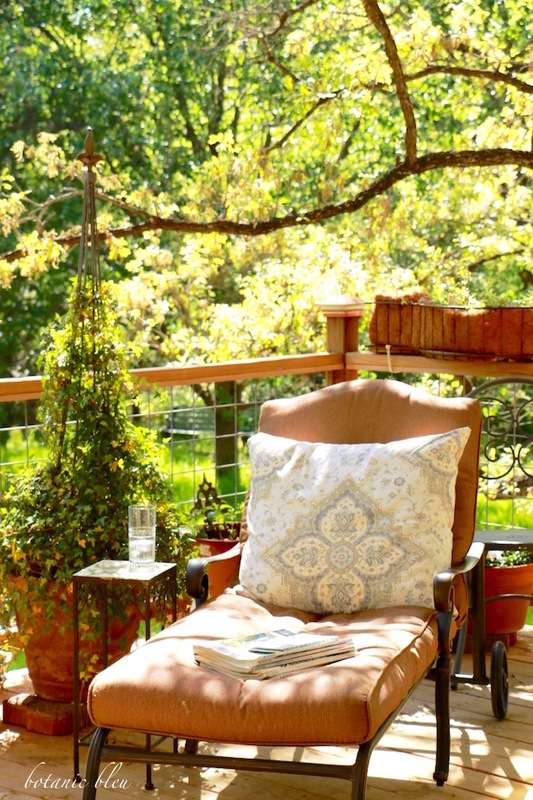 I know you'll enjoy many hours of bliss this summer on your porch. Your porch is lovely. We've been enjoying our deck, but it is small. I will work on pulling together the seating and get some flowers for it too! I loved this post and am so happy that you are already enjoying the outdoors. Up in Nw PA it will be a while before we get out the summer furniture. But when we do I will be doing all those things that you pointed out....with joy! Lovely post. 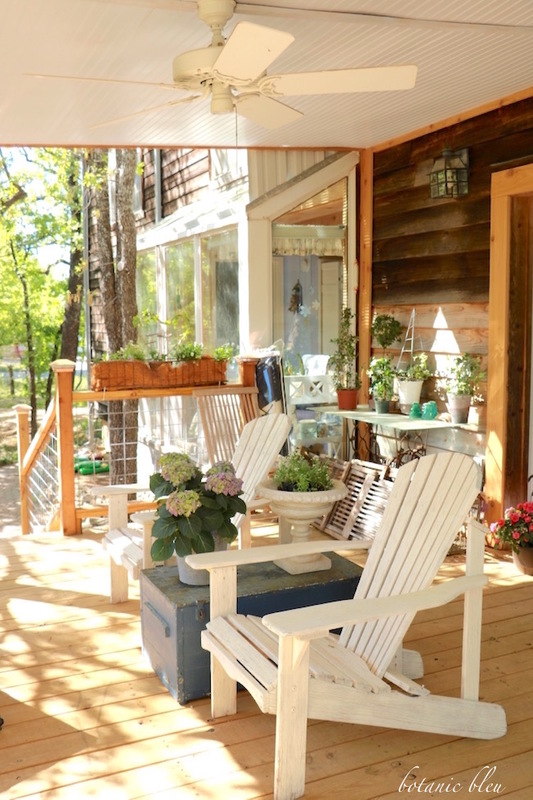 Oh Judith, your porch looks so relaxing and pretty with your new plantings. Enjoy these precious few Spring days while you can! The perfect recipe and the perfect porch, Judith. 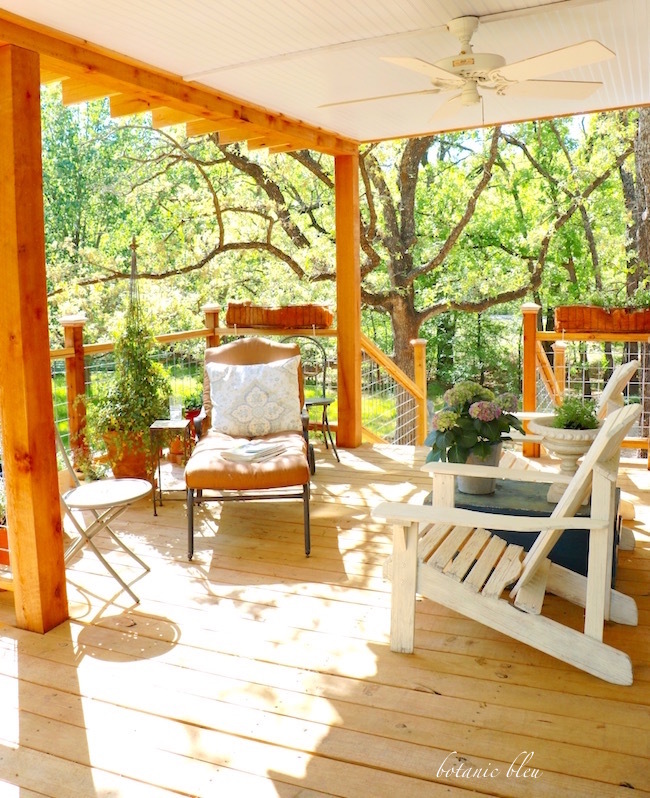 That porch truly looks so inviting - a little bit of sun, and a good amount of shade. I have a stack of magazines that have piled up during these renos of mine, just begging me to relax again. Our spring in WV lasts a bit longer than TX - pretty much aligned with the seasonal calendar dates - so I'm hoping for several good weeks to come. What a beautiful space I love the combination of everything because it looks so relaxing. Sitting outdoors is where it's at..
You are so right about the temperatures! I'm far more likely to be found sitting on a deck in January than May - September, especially since we don't seem to have winter weather any more. It looks so relaxing and serene. Enjoy! 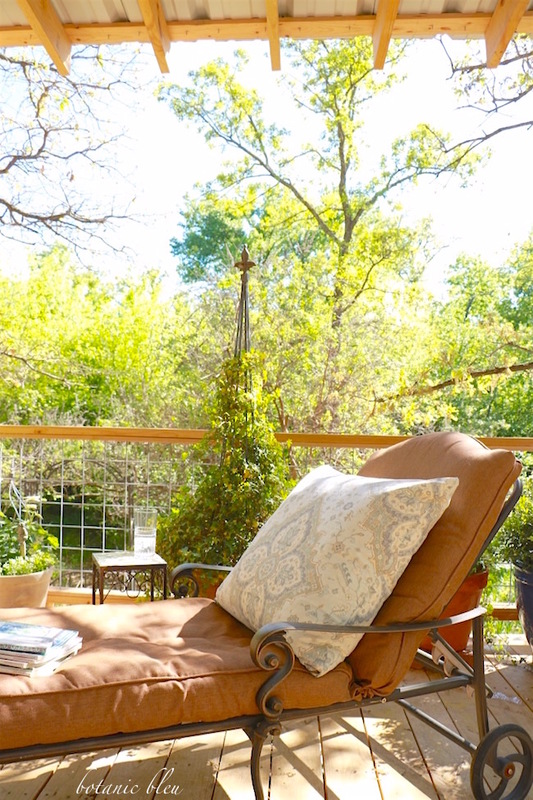 My backyard is still a huge work in progress, so your patio....is a huge welcoming sight! I hope you are taking reservations, because that's the rest area I need after a long day of mulching and digging in the dirt. I can't wait to have more out of door time. It is still a little cool and wet here, but the seasons is definitely changing. Thank you for reminding me of things to come. What a beautiful porch to enjoy all of those things. :) So nice to have an outdoor room as an extension of the house's living space.